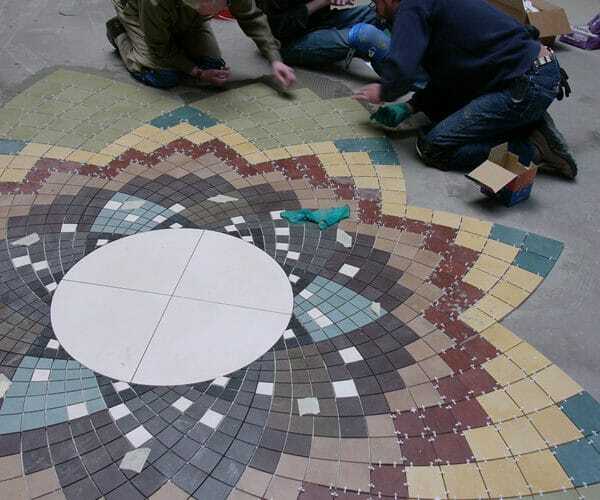 Installation performed with the Creative Edge Master Shop (Fairfield, Iowa). 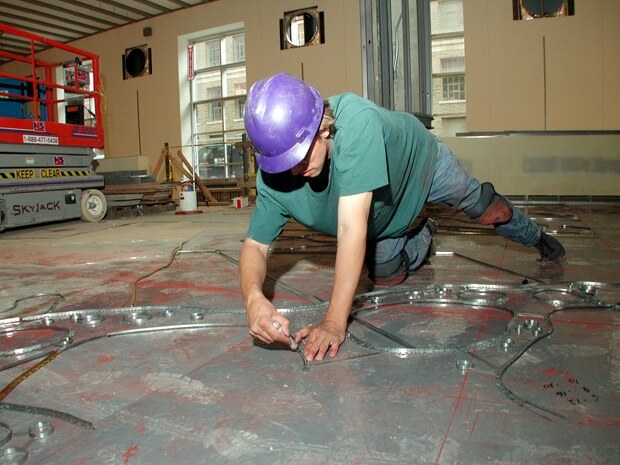 Making good use of my knee pads while installing divider strip for the Algorithmic Tapestry terrazzo floor at the University of Wisconsin at Madison. More information about the design process here. 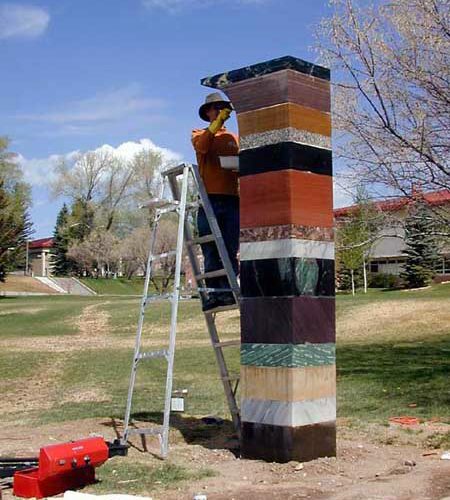 Sealing the stone column during the installation of Wingscape at Western State College in Gunnison, Colorado.